Apple has unveiled the latest update to its Apple Watch OS, called watchOS 4. And the great news is that it's out today ahead of the Apple Watch 3 release date, which is this Friday 22 September. Unfortunately we didn’t get the third party watch face store we were hoping for. Instead we got three more faces from Apple. The good news is, they’re great watch faces! The first one shown was Siri Intelligence. This shows you relevant information based on the time and your location. For example, it’ll show you the commute time and weather in the morning, or flight details when you get to the airport. There’s also our new favourites, Toy Story watch faces! These are the cute animated characters we all know and love, including Woody, Buzz and Jesse. Finally, there’s a new attractive kaleidoscope face. Activity tracking is one of the best things about the Apple Watch. 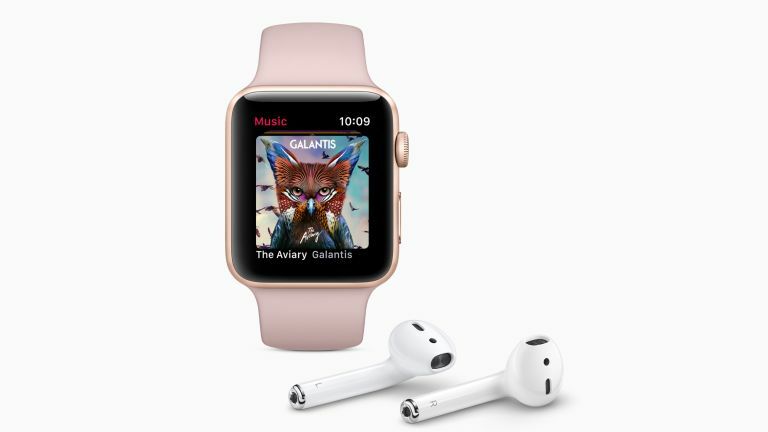 Apple have just made it even better, with achievable daily and monthly challenges, High Intensity Interval Training, and auto logging swimming laps. It’s also quicker and easier to start work outs, so it doesn’t get in the way as much, and it’s easy to switch between different workouts in a single session. Finally, the Apple Watch can now be paired with select gym equipment so data is more reliable and accurate. It’s easy to pair the Watch with your machine thanks to NFC. The Apple Music app is getting a neat update, with automatic recommendations, multiple play lists, and a better UI. First of all, you can now choose between the current, fiddly app screen to a more simple list view. This can be scrolled through with your finger or the Digital Crown. The Dock, accessed by pressing on the side button, now displays a vertical list of icons rather than a horizontal list. They're small updates, but should make using the Apple Watch a little more simple to use. This is really fascinating, adding a real use for the heart rate sensor on the Apple Watch. It'll now measure your heart rate recovery, which is great for measuring your fitness, as well as your resting heart rate. It'll also measure your heart rhythm, and notify you if the rhythm changes or if your heart rate it elevated even when you're not active (this could be a sign that something is wrong). This can diagnose problems like Atrial fibrillation, and is FDA approved (in the US only, at the moment). You’ll be able to enjoy all of these updates on September 19, for free.